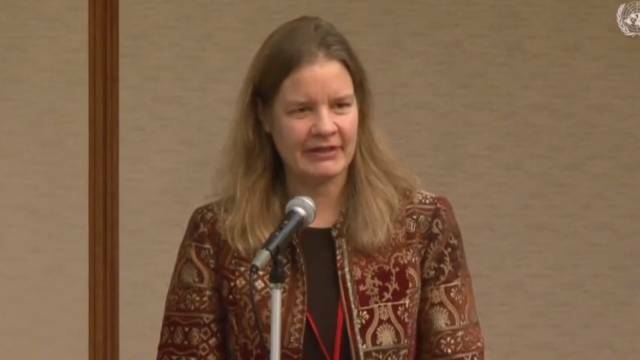 Dr. Miranda Schreurs (Berlin Free University) delivers a keynote address in Fukushima, Japan on 3 February 2014 during the International Symposium on “Information Sharing and Communication for Recorery in Fukushima: A Human Security Approach“. Dr. Schreurs’s presentation introduced audience members to the dialogue and actions surrounding Germany’s experiences with nuclear issues as well as the country’s decision to move away from nuclear power. Dr. Schreurs shared insights from Europe regarding the Chernobyl accident and concluded with a hopeful message of how concerted efforts had transformed and recovered areas in Germany that had previously been heavily polluted through industrial manufacturing. Click here to view a pdf of Prof. Schreurs’s presentation.